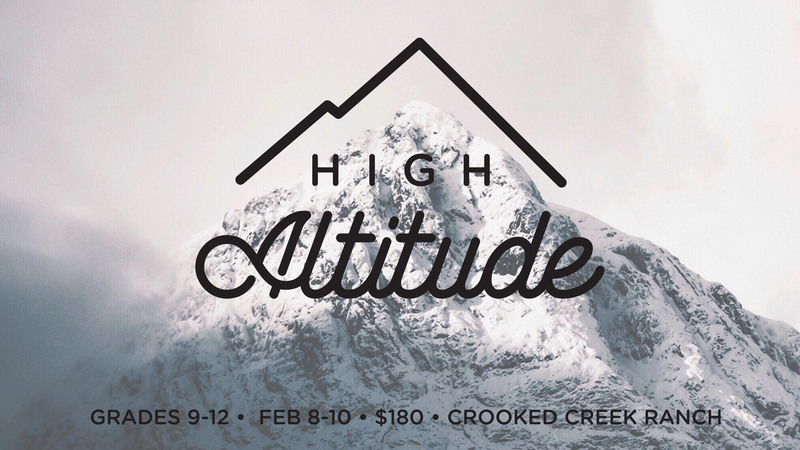 High Altitude takes place at beautiful Crooked Creek Ranch. From the moment students load the buses (buses leave from each campus), they will experience leaders who care about them and other high school students walking through the same experiences and struggles. This year's theme is Crowned and will cover the highs and lows of King David's life. Plus, High Altitude is a BLAST! Students can go tubing or compete in volleyball or dodgeball tournaments or sit by the fire with friends for a game of cards. You don't want to miss winter camp this year!